KSRO March 10. Jonathan Kauffman and his new book:”Hippie Food”! 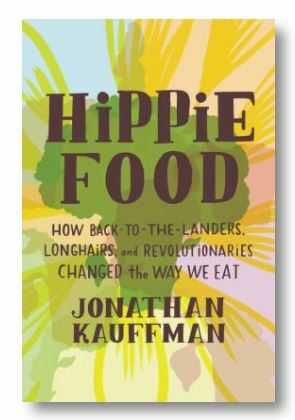 We’ll be interviewing Jonathan Kauffman about his new book “Hippie Food”. It’s about how the 70’s Back-to-the-Landers, Longhairs and Revolutionaries changed the way we eat. It’s a thoroughly engaging and very fun book. Jonathan has won many awards and writes for all the culinary publications including the San Francisco Chronicle. The book has been lauded by the New York Times and many other reliable (not fake) sources. Tune in 11 till Noon at KSRO.com on March 10. It will also be archived on KSRO’s website in case you miss the live broadcast.